Juliette Récamier. Coiffure 1st Empire. Home » Juliette Récamier. Coiffure 1st Empire. 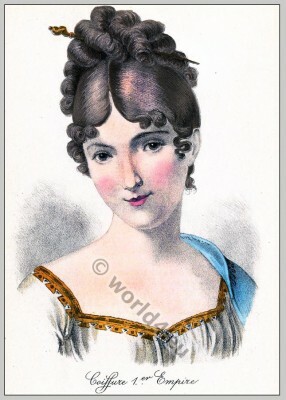 Source: „Album de coiffures histories“ by E. Nissy. Published 1890 by Albert Brunet. This entry was posted in 1797, Directoire, Empire, France, Merveilleuses on 6/12/13 by world4.